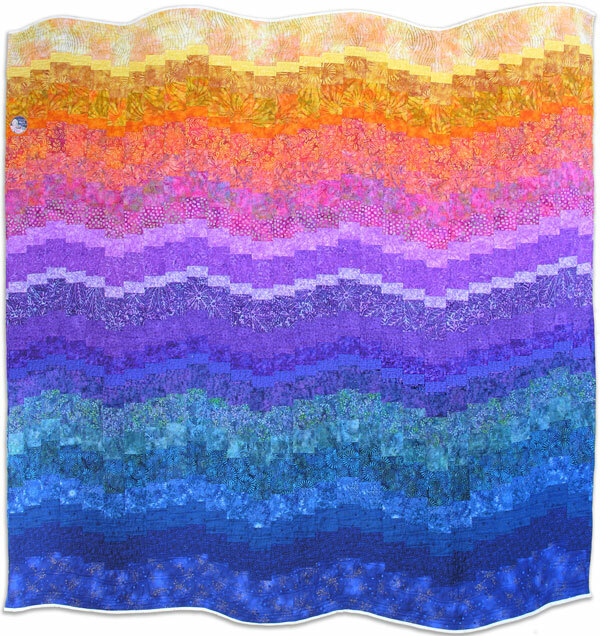 Color, color, color. 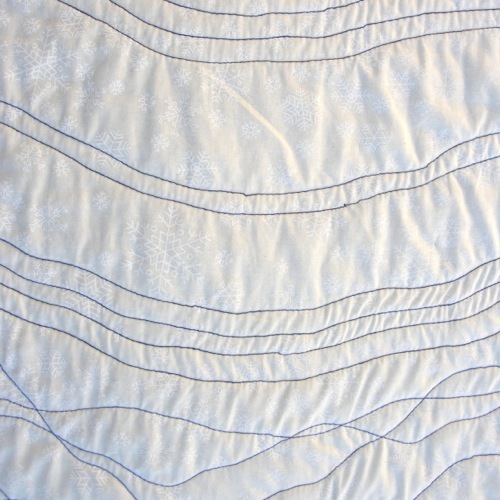 There is something very rewarding about selecting fabric for and creating a quilt that is all about color and transitions between colors. 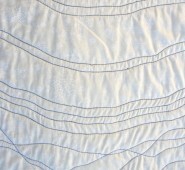 The design shown here is simple – strips of fabric – but the execution took some time, most of that spent in fabric selection. 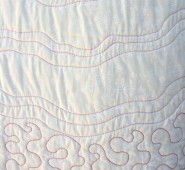 I started with fabrics I had on hand, spread them out to see where I had gaps in the color transitions and then searched out fabrics to fill those gaps. 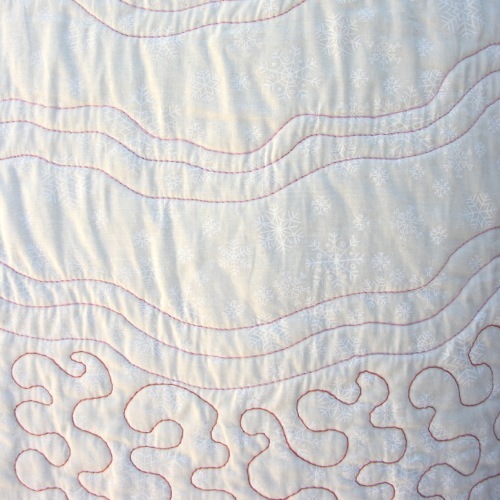 I also decided to mix print fabrics and batik fabrics. 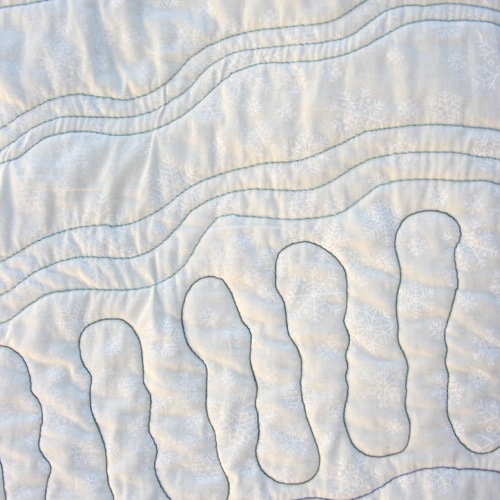 I discovered this added to the complexity of the project, but I am super pleased with the result and think the character of the quilt is greatly enhanced by combining fabric styles. 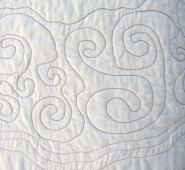 The quilting and finishing were some of the most fun I’ve had in making a quilt. 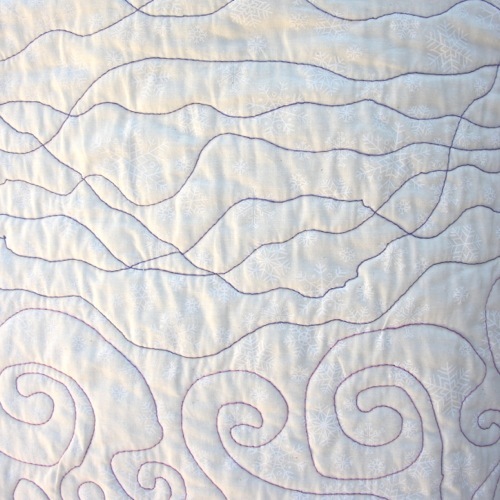 I chose to free motion quilt using different color threads corresponding to the main colors of the top fabrics. 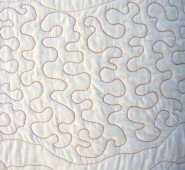 And since I used a cream backing, the stitches show up clearly and make for an entirely different quilt when flipped over. 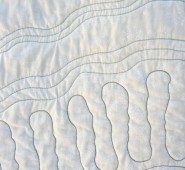 I think it is nice to have options. 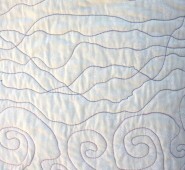 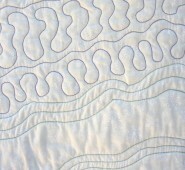 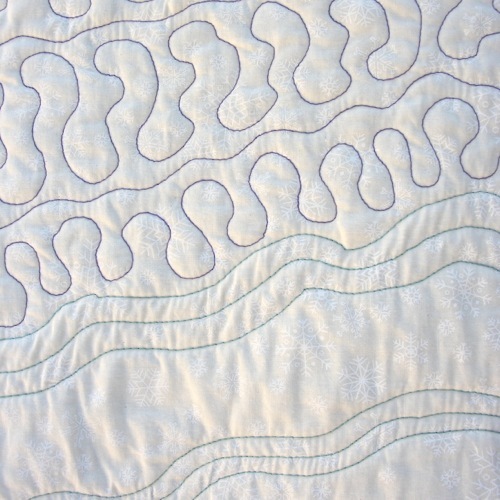 The other fun thing was deciding to finish the top and bottom edges following the lines of the pattern – a curving wave. 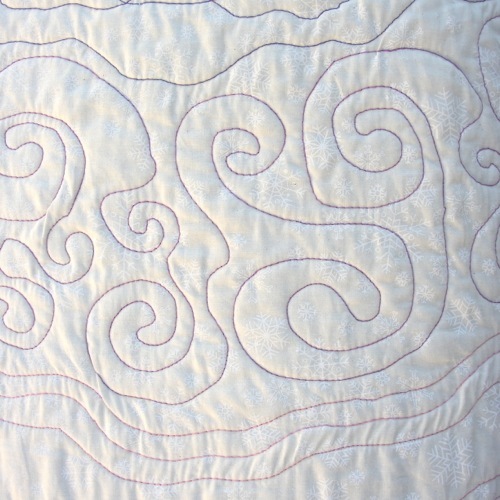 It does make for an unusual finished quilt. 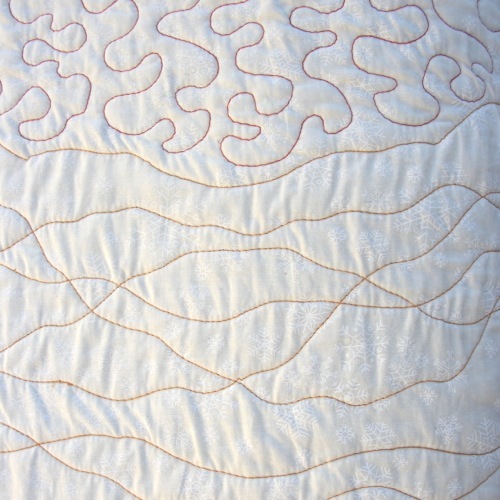 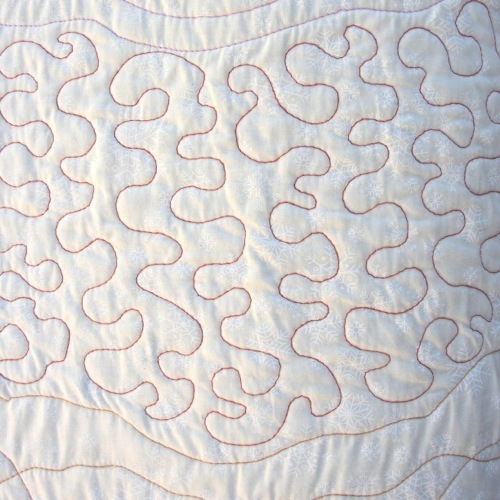 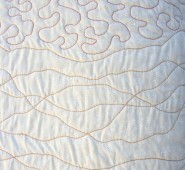 Close up images of the quilting as seen on the cream fabric are shown below.